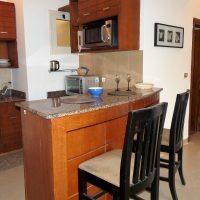 Sunny Lakes 2 Bed FOR SALE 80m2 and a communal Roof Terrace with views to Naama Bay. Just painted this apartment is ready to occupy or update as you wish. Windows and balcony are looking at the VIP Zone swimming pools. Enter to an expansive open plan Living & Kitchen area with Island bench. Plus big sliding windows with mosquito screens and safety railings. One Master and one Twin bedroom, both have ample wardrobe and storage space too. Twin bedroom has double sliding doors to the private pool view balcony. A large fully Tiled Bathroom with Shower over a Full Size Bath and concealed wet corner shelf. Vanity with Lit Mirror and WC.